It is unwise to rely on air leakage for ventilation because it can't be controlled. 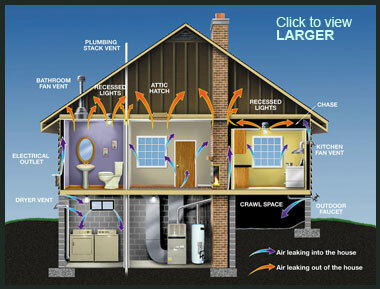 During cold or windy weather, too much air may enter the house. When it's warmer and less windy, not enough air may enter. Air infiltration also can contribute to problems with moisture control. 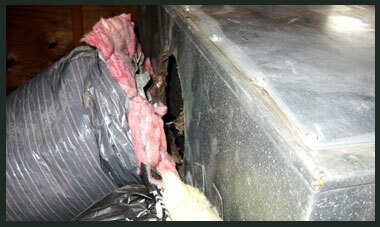 Moldy and dusty air can enter a leaky house through such areas as attics or foundations. This air in the house could cause health problems. SPS Insulation seals and insulates the "envelope" or "shell" of your home — its outer walls, ceiling, windows, doors, and floors; this is often the most cost effective way to improve energy efficiency and comfort. * Choosing ENERGY STAR qualified windows when replacing windows. Our quality installation will include a thorough inspection of your duct system, including proper sealing and balancing of ductwork, to help ensure that your new system delivers the most comfort and efficiency.